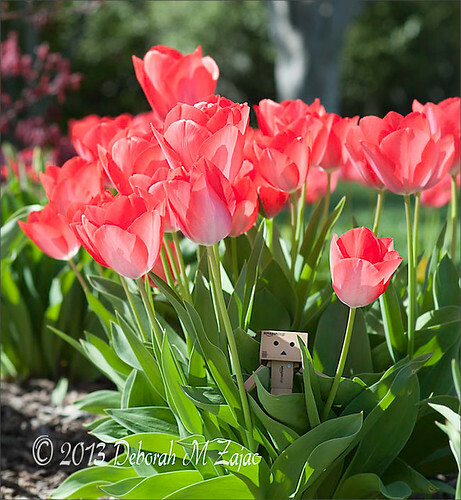 Danbo tiptoeing through the tulips, originally uploaded by dmzajac2004-. These tulips are in my neighbors front yard. She always has a lovely crop each Spring. I wish I had a green thumb. Or at least remembered to plant new bulbs in the fall!